The International Institute for Cultural Diplomacy’s primary activity focuses on the development and the promotion of the field of Cultural Diplomacy with the aim to raise awareness and understanding of the field across the globe both locally and internationally; The ICD works continuously to develop new and innovative initiatives in the field of cultural diplomacy. 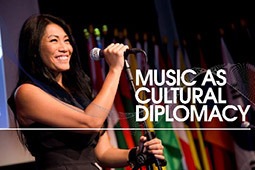 In addition to promoting cultural diplomacy through its own initiatives, the ICD also promotes cultural diplomacy by actively supporting the work that is already being done in this area by partnering and communicating with other actors in the field. 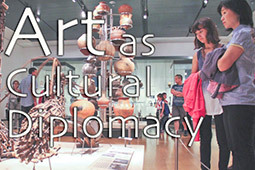 The Academy for Cultural Diplomacy aims to develop and raise awareness of the theory and practice of cultural diplomacy and related fields (such as human rights, international law, creative industries, and the performing arts) as well as to explore new strategies for the strengthening of intercultural relations and promoting global peace. (www.ccds-berlin.de) - The Center for Cultural Diplomacy Studies (CCDS) is the world's leading center for the study of Cultural Diplomacy, offering educational opportunities ranging from Weeklong seminars and Distance Learning Programs to interdisciplinary Master's and Doctoral programs for individuals pursuing careers in academia, diplomacy, government, and/or the private sector, dedicated either wholly or in part to the field of Cultural Diplomacy. The ICD House of Arts & Culture is a 5 building compound located in the north of Berlin. ICD House is a multi-purpose location that has been designed to provide an independent forum for interaction and exchange between groups and individuals from Berlin’s diverse communities including politicians, diplomats, cultural practitioners, academics, civil servants, and private sector representatives. The Organization for Youth Education & Development (OYED) operates under the legal framework of the Institute for Cultural Diplomacy and is organized in cooperation with national governments. The Organization is dedicated to the creation, promotion and execution of youth-oriented education and development programs. Over the past decade, the OYED has managed to bring thousands of young people together from every corner of the world to discuss and promote issues that are vital to the younger generation. 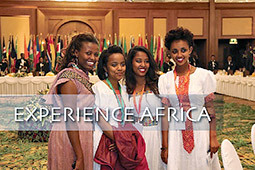 The OYED Internship Project, which has now existed for ten years, was officially launched in January 2008 and has been successful in achieving its main purpose of enabling like-minded students and young professionals to come to Berlin and engage in intercultural and international programs. The internship program is an ongoing, evolving project and, as such its ultimate goal is to enable and empower young professionals to engage in intercultural relations and in so doing promote multiculturalism worldwide.